Luisa Passerini was Professor of Cultural History at the University of Turin, and is currently External Professor at the European University Institute, Florence, and Visiting Professor in the Oral History Master Program, Columbia University, New York. Dawn Lyon is Lecturer in Sociology at the University of Kent, UK, and has published in the field of gender, work and employment in comparative perspective. Enrica Capussotti is Research Fellow in the Department of History, University of Siena, Italy, and is author of Gioventù perduta. Gli anni cinquanta dei giovani e del cinema in Italia (Florence: Giunti, 2004). 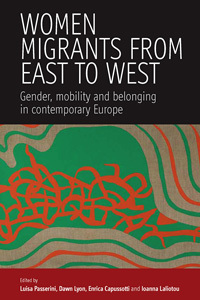 Ioanna Laliotou is Assistant Professor in Contemporary History, University of Thessaly, Greece, and is author of Transatlantic Subjects: Acts of Migration and Culture of Transnationalism between Europe and America (Chicago: Chicago University Press, 2004).